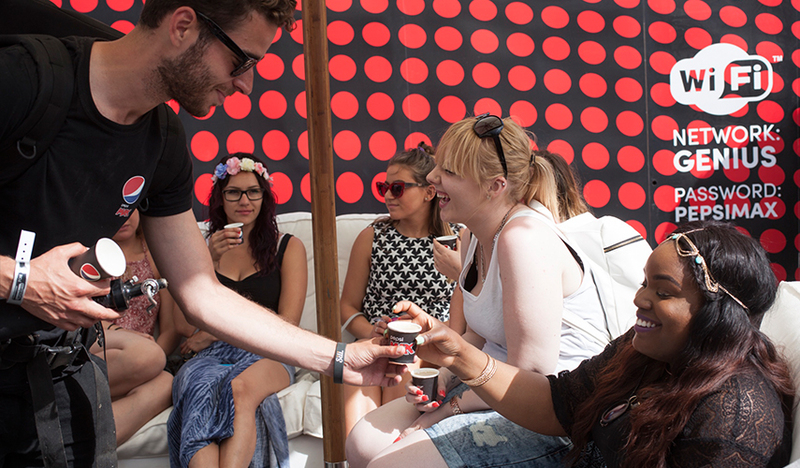 They get under the skin of every project and offer sensible solutions throughout the process from concept development through to installation. 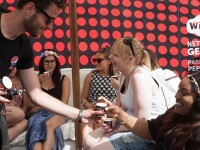 Working with Live Nation, Buzz were tasked with creating an activation zone for Pepsi Max, at Wireless 2015 festival. 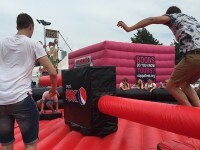 We produced a fun, interactive games area, with chill out seating, large screen and PA setup. 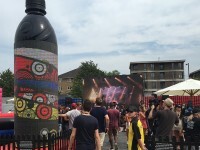 As a central feature, Pepsi were keen to have a stand out feature, creating a piece of art from the existing Pepsi Max bottle shape. 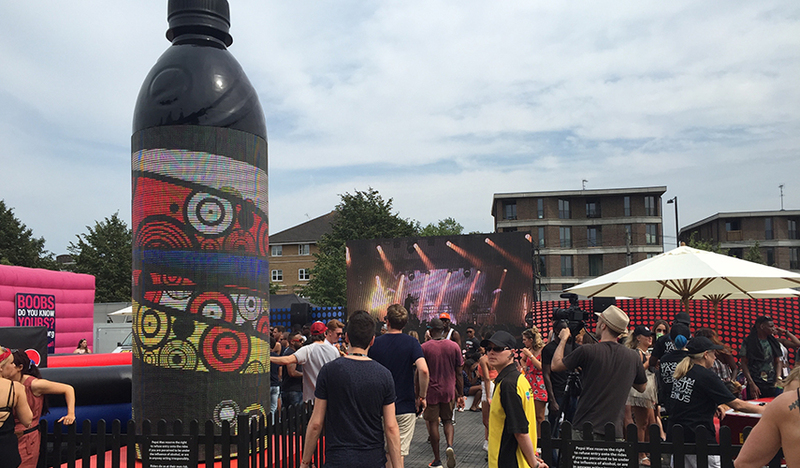 Buzz created a 5.5m tall bottle replica with 360 degree wraparound screen and produced digital content to the clients specification. 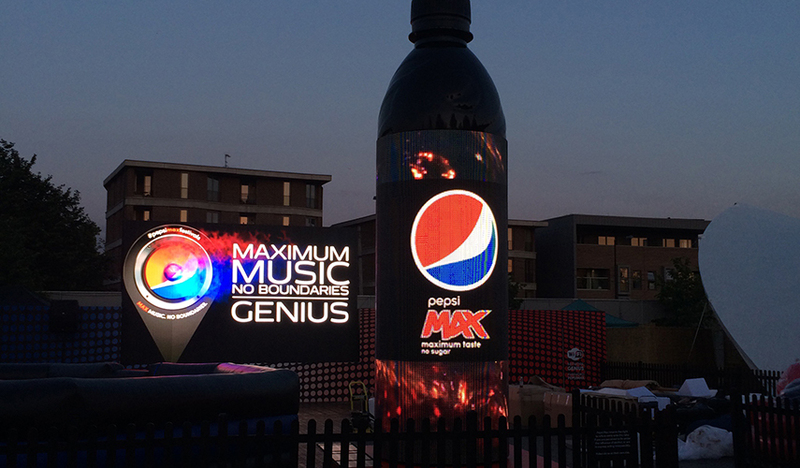 A bespoke engineered 5.5m tall Pepsi Max bottle, art installation, structurally loaded and IP rated for external operation. 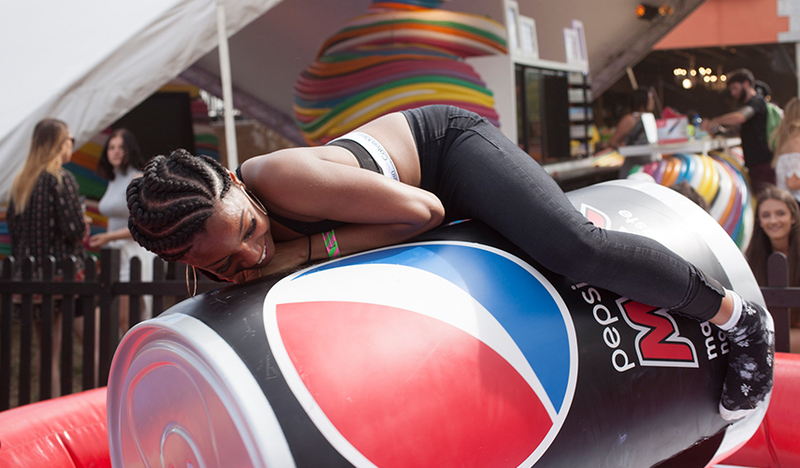 A 360-degree wrap around LED screen was engineered , to show custom content and visuals, to mesmerize the passing crowds. 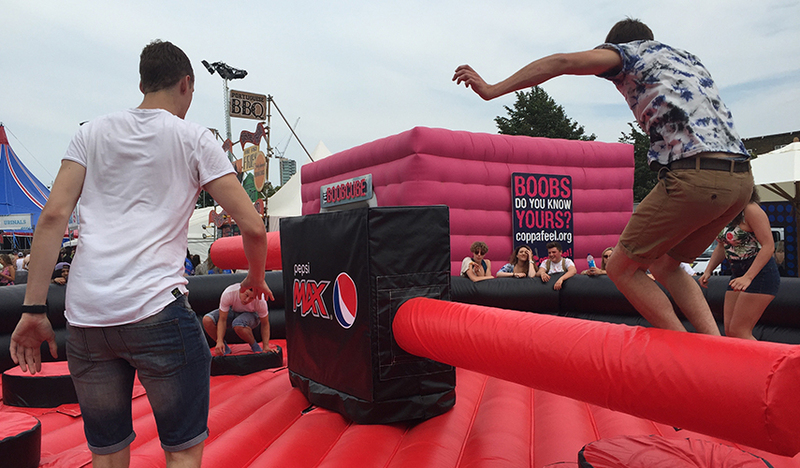 A custom built bronco ride, in the form of a Pepsi Max can, was built, along with a 9 person Pepsi Meltdown game.